Miami students and alumni can schedule on-campus and online appointments in our scheduling system. To learn more about our appointments or to see our scheduling instructions, visit the Howe Writing Center website. Review guides to writing in disciplines at Miami. 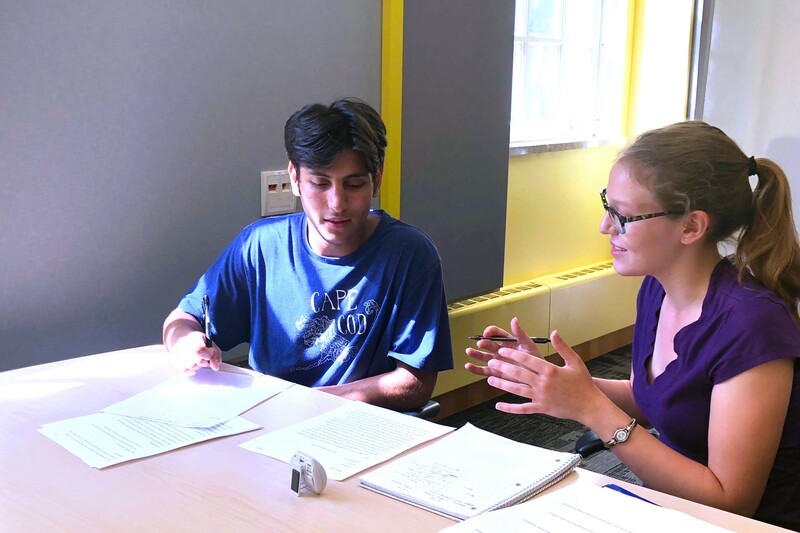 Read our Miami Writing Spotlight, which showcases practices, people, and programs that exemplify best practices for writing at Miami University. Faculty can learn about the 3 components of the advanced writing requirement, see the list of approved courses, or submit an advanced writing application. Browse over 30 web handouts on writing stages, genres, and concerns. Stay up to date with events at the HCWE. 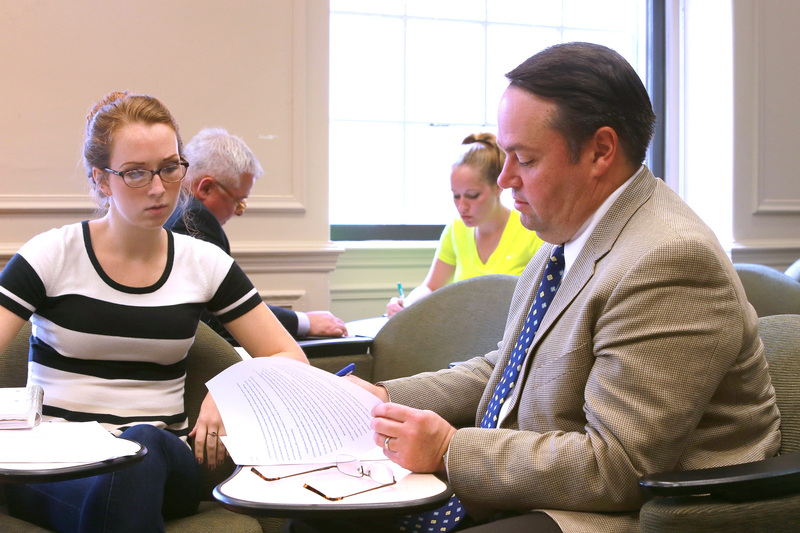 See publications and conference presentations from our administrative staff, graduate assistants, and writing center consultants. The long-term goal of the HCWE is to support Miami in providing the most innovative, research-based writing instruction in the country, to be widely and publicly acknowledged for doing so, and to positively and measurably impact writing-related research, practice, and policy at Miami, in Ohio, in the region, and in the nation. Writing mediates activity and helps us get things done through recognizable and recurring forms. Writing is social and rhetorical; writers benefit from talking and sharing drafts with other writers. Writing is not natural; rather, it is something we all work to learn. Being a competent writer is something that can be developed across time and with practice. All writers have more to learn, and benefit from practice, feedback, and revision. New and unfamiliar writing tasks can impact a writer’s performance in areas where they are usually highly competent. This is a normal part of learning. Reflection and metacognition are important parts of improving as a writer. Writers and learners benefit from monitoring their own learning, progress, and struggles. Thus, receiving formative assessment and then reflecting and self-assessing are important parts of improving as a writer. Writing is informed by prior experience, including experience with writing, reading, and cultural experiences and norms. All writers and readers are constantly negotiating language differences. Both writers and readers are always working to construct meaning. Writing is embodied cognition; it is emotional as well as cognitive and social. How writers feel about writing impacts how they write and what they are able to accomplish as writers. Writing enacts values, conventions, and identities, including those of disciplines and professions. Helping learners improve as writers is a shared responsibility, since a great deal of writing is enacted in specialized disciplines and professions. Experts who use writing in specialized ways are best positioned to help enculturate learners into that type of writing. The HCWE has 6 full-time staff and 5 part-time graduate assistants. Learn more about our staff. Roger and Joyce Howe (both Class of 1957) have made generous and significant contributions to Miami University for the purpose of improving student writing so that all Miami students are recognized as excellent writers. Over the last twelve years they have committed $12.4 million to the Howe Writing Initiative and the Roger and Joyce Howe Center for Writing Excellence. They believe nothing in education is more important for students' future careers than developing clear and persuasive writing ability. Roger Howe graduated from Miami University with a BS in business. He was employed for 13 years by the S.D. Warren Co., a Boston-based fine paper manufacturer. He worked in sales management, product management, and as Director of Advertising. In 1970 Roger purchased U.S. Precision Lens, a small maker of plastic optics in Cincinnati, and built it into a world leader of innovative optical systems for the photographic, instrument, and television industries. In 1986 he sold the company to Corning, Inc. and remained as Chairman of the Board until his retirement in 1997. 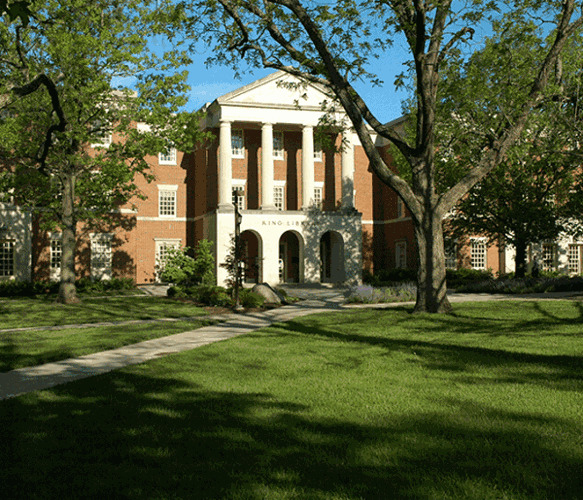 Roger Howe’s record of service to Miami University includes membership on the Business Advisory Council and the Board of Visitors of the Farmer School of Business, the University Foundation Board, and the Board of Trustees, which he chaired for three years. He was awarded an honorary Doctor of Laws degree from Miami in 1987 and was inducted into the Cincinnati Business Hall of Fame in 1998. Joyce Lutz Howe graduated with honors from Miami University, where she majored in Fine Arts with a specialty in graphics. Joyce has pursued her personal art career specializing in watercolor, mixed media, and oil painting. Her works have been sold in galleries in Cincinnati, OH; Chicago, IL; Petoskey, MI; and Boca Grande, FL. She is particularly recognized for her talent with watercolors. She was a docent for the Cincinnati Museum of Art, served on its board of trustees, and has been a significant contributor. With permission, adapted from the Howe Writing Initiative's Meet the Founders page.